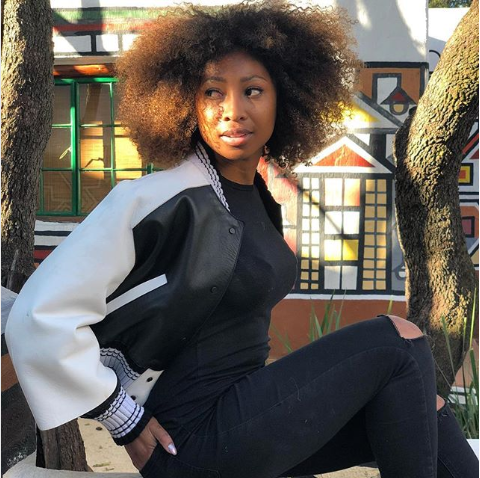 Enhle Mbali Breaks Silence Since Attempted Hijacking! Last week the actress managed to escape an attempted hijacking without being harmed but was hospitalized after the incident in Hyde Park. The hijackers reportedly got away with her ring and other stuff. Enhle has broken her silence on the incident taking to Instagram LIVE to update her fans and confirming that it happened to her. “It’s absolutely true that the other day I was in an attempted hijacking, that’s as much as I’ll say about it. I do, however, wanna thank the people who are my industry peers. I have received all your messages, all your phone calls, I have my phone back today. Thank you so much for your support, it really means a lot that you care a little more about me and just what happens in the industry,” she said. “A lot of people have been concerned. And thank you so much, all of you. Thank you so much for the kind messages, thank you so much for your support. Thank you so much for showing that you’re involved and generally care apart from following my career,” she added. Enhle also touched on the level of crime in SA and how the incident opened her eyes to how things currently work and the standard of policing.